Pop Culture Safari! 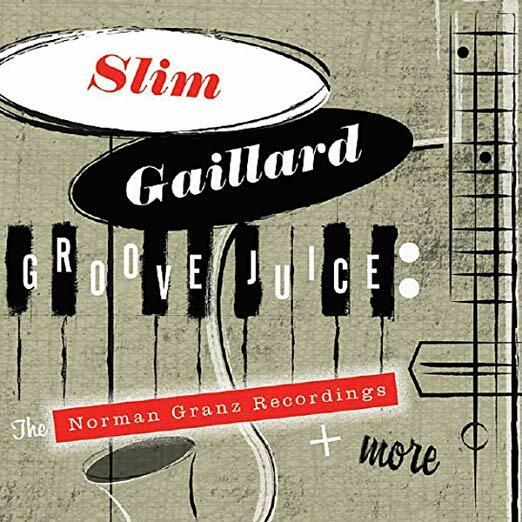 : Coming Up: Slim Gaillard - "Groove Juice: The Norman Granz Recordings + More"
Coming Up: Slim Gaillard - "Groove Juice: The Norman Granz Recordings + More"
Out Aug. 31. Pre-order from Amazon now. A multilinguistic singer, songwriter, performer and comedian, Gaillard swung in every genre with a uniquely funny, yet seriously musical, style. More than a crazy cult figure, he’s a hero to kids for his ditty “Down by the Station,” and his “Oronee” songs pepper the soundtrack of the FX series, Better Things. This collection presents every track he cut for Norman Granz’s pre-Verve labels, plus 16 rare singles recorded for MGM, and 10 previously unreleased alternate tracks.